Mary Harris-Sparks, Editor in Chief for Music Biz Inc. says "This fashion summit is unique and offers unprecedented networking opportunities between the urban fashion and music industries. MBI magazine will not only cover the event from start to finish, but will also be there actively looking for fresh models to feature in different sections of the magazine." Celebrating the creative excellence of urban, hip hop, and ethnically centric fashion designers, this 3 day gathering of consumers, retailers, buyers, models, publication executives, and other lifestyle affiliates is designed to give aspiring and established designers, models, and video vixens the opportunity to showcase their work to a captive audience of trendsetters. Industry affiliated magazines, trade publications, talent scouts and modeling agencies will be at the event looking for models to use in print ads, videos, and to offer other commercial opportunities. Coupled with the Chicago Music Conference, this will be a perfect blend of business and pleasure. A can’t miss event for any and everyone in the urban and ethnically centric fashion industry. 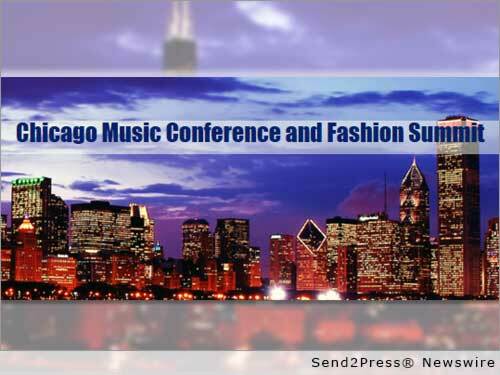 For more information about booking a fashion showcase for your clothing line, reserving a trade show booth, becoming an event sponsor or registering as an up and coming model or video vixen, go to http://www.chicagomusicconference.com/ or call us at (847)445-6959. Original Keywords: Mary Harris-Sparks, Music Biz Inc, Chicago Music Conference, AJ-ONIC Dynasty, urban and ethnically centric fashion industry AJ-ONIC Dynasty Chicago Illinois CHICAGO, Ill.
REFERENCES: African American Interest News, Mary Harris-Sparks, Music Biz Inc, Chicago Music Conference, AJ-ONIC Dynasty, urban and ethnically centric fashion industry AJ-ONIC Dynasty Chicago Illinois CHICAGO, Ill.